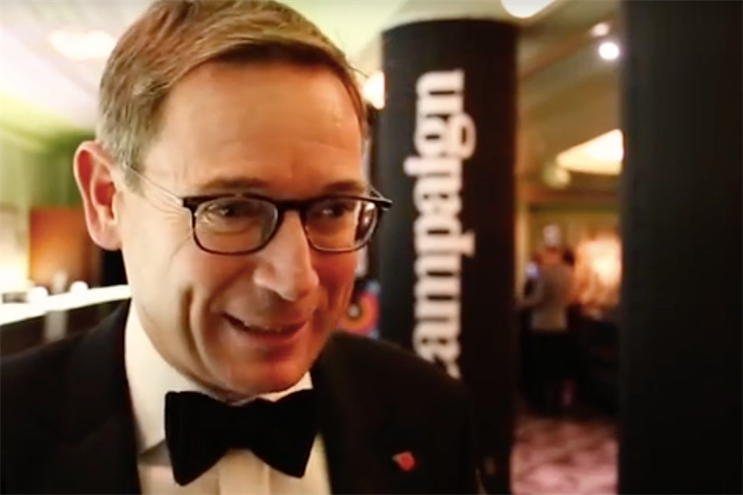 Williams Lea Tag's EMEA chief executive tells Campaign why digital media excellence is the future. Simpson-Dent…"Media Excellence is front and centre of the future"
The Campaign Big Awards are a chance to celebrate the ad industry in all its creative glory and talent. One of our award partners, Williams Lea Tag (WLT), spotted that more speed and pace of change mean inspiring campaigns must come to market quickly and accurately. Winners on the night did just that, executing outstanding creative ideas across media channels. Adam & Eve/DDB won Campaign BIG Agency of the Year after picking up awards for their Campaign Against Living Miserably "Project 84", The Cybersmile Foundation "#TrollingIsUgly", Marmite "The Marmite gene project", EA Sports/Fifa 19 "#ElTornado" and Great Western Railway "Five go on an adventure". The agency also won four of the Media Excellence Awards. "We are particularly delighted to be sponsoring the Digital Media Excellence category in the Big Awards." WLT EMEA CEO, Jonathan Simpson-Dent said. "Digital Media Excellence is front and centre of the future – it’s how we are building our business and how we believe the whole industry should be moving. It’s what consumers expect, it’s what our brand partners expect." He added that WLT’s focus is to turn creative ideas into reality. As brands are trying to reduce the number of agencies on their rosters, WLT focuses on listening to clients to build a full-service offering for brands. Recent acquisitions such as Taylor James and THP are adding high-quality digital production and on-demand social-media content capabilities, enabling WLT to deliver even more directly on clients’ needs. Other agencies that triumphed at the awards include Abbott Mead Vickers BBDO, winning for Hiscox "Honeypot", Essity/Libresse/Bodyform "Blood normal", Mars Petcare "Dog dates", LADbible/Plastic Oceans Foundation "Trash isles" and BT Sport "90 in 90". Mother also scooped five BIGs. "We know that digital media excellence is the future and it’s exciting to have seen so many truly exceptional examples of this at the Campaign BIG Awards," Concluded Simpson-Dent.